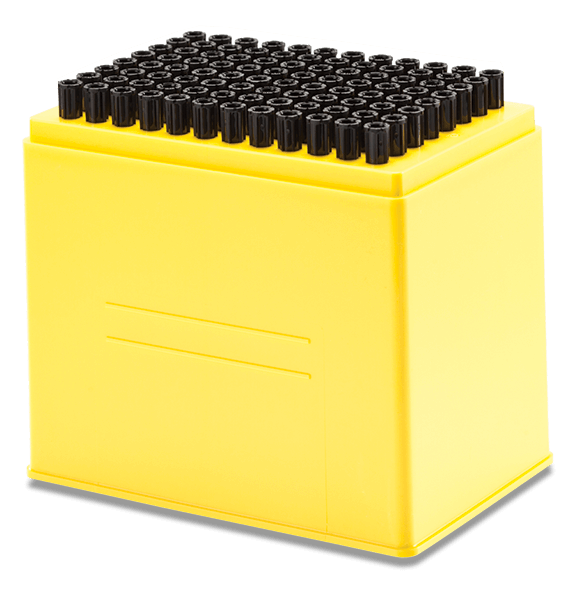 These sterile conductive tips with filter are compatible with the Biomek NXp and FXp with Span-8 Liquid Handling Systems and made of polypropylene. Filter tips reduce the possibility of sample cross-contamination from aerosols, while conductive tips are especially useful when volumes are not always known or specified. They also allow pipetting from the top of the liquid level, which reduces the tip’s wetted surface to conserve samples and reduce cross-contamination. Automation-grade tips are manufactured to ensure straight, leak-proof products free of DNA, DNase/RNase, PCR inhibition, pyrogen/endotoxin and trace metals. Maximum capacity is 1025 µL per tip. Case of 5 racks.